Contentful’s rich text editor comes with a point-and-click interface, universally loved by content creators, and a number of additional capabilities. 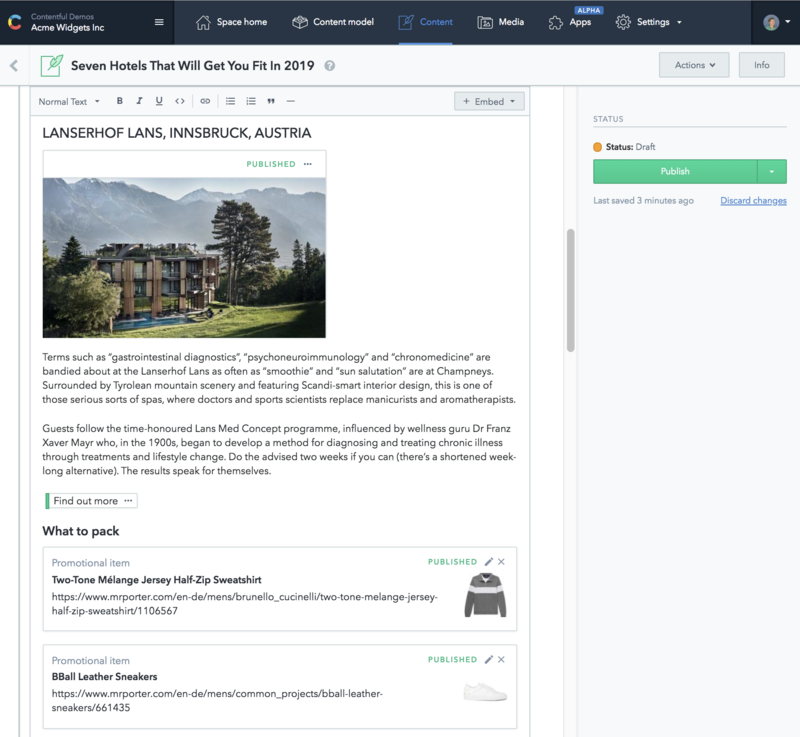 Despite its freeform appearance, the rich text field stores content in a structured format — making it easy to create new content and deliver it to any screen. When paired with an appropriate content model and external integrations, rich text enables editors not only write copy, but also embed media, add signup forms, insert A/B experiments, work with dynamic text and perform many other advanced tasks within the editing interface. If you are adding the rich text editor to an existing content model, make sure to check out the migration tools we’ve built to support the transition.